Why Are There Sparks in my Microwave? Look inside the microwave food white bowl,In a warm atmosphere and empty top space for text. If you witness sparks appearing in a microwave it can be a rather alarming sight. However, the first thing to do in this situation, is not panic. This problem is usually relatively easy to fix if you can find the cause. Sparks in the microwave are usually caused by the microwaves hitting a metal object inside the appliance. Metals conduct electricity with lots of electrons which move freely. Microwaves are absorbed by fat and sugar in foods. If metal is put into the appliance, the microwaves cause the electrons to move around, producing sparks and heat. Sparks occur simply due to a build-up of charged particles which produce a concentrated electric field at the edge of the metal object. 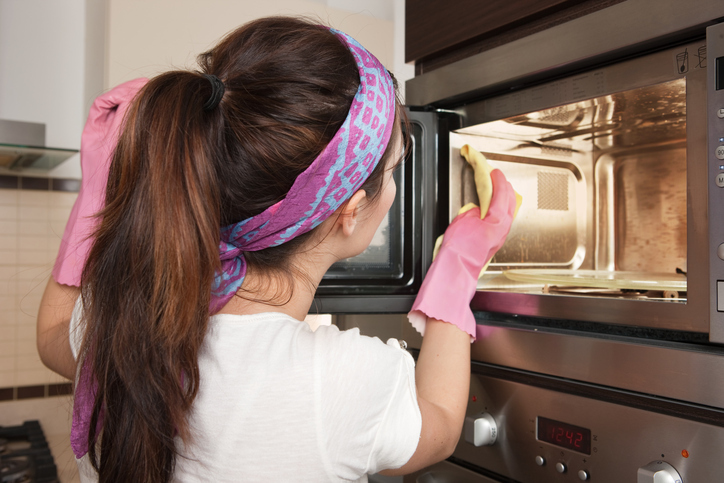 Read on to find the most common causes of sparks in a microwave and what to do in this situation. The mistake of putting a cup of coffee with a spoon into the microwaves. Metallic objects cannot be put into these devices. It is important that in all cases when sparks are sighted inside your appliance, that the device is stopped, and the power is turned off. This will prevent further damage and help to prevent a fire breaking out. In most cases where sparks appear in the appliance, it is likely because you have accidentally left a piece of metal in the microwave. When the appliance is working, this will cause sparks to fly, and the metal should be taken out as soon as possible. If removed quickly enough this can usually prevent damage such as holes being burnt into the walls. However, it is a good idea to get your appliance checked by a professional microwave repair technician before using it again. 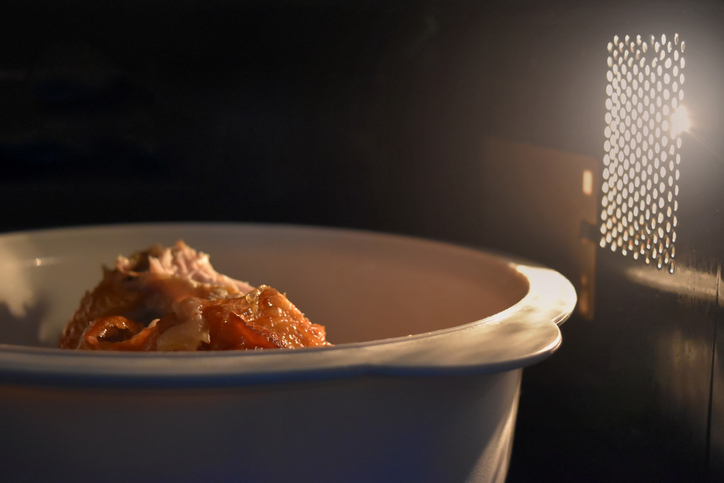 Other metals that can cause issues in your microwave are foil or crockery items with metal trim – both of which should be avoided. In rare cases, if the microwave oven receives a lot of use, or is bashed or knocked, the waveguide cover – which allows energy waves to cook through your food – in the device may become loose. In addition, if food explodes inside the machine, something can become trapped under this cover and get into the inner workings of the microwave. If this happens, then sparks can occur, and this should be looked at by a repair professional who can get the device running again, while keeping your home safe. A microwave diode is an essential part of your device and is used for generating, mixing, detecting and switching your microwave signals. As they are heavily used, they can occasionally be worn down or split in two. This can then cause sparks, and if the diode has shorted, it will be accompanied by symptoms such as a loud humming. If the diode is faulty but not shorted, no heat will be produced and there won’t be a humming noise. There can also be visual signs and a burning smell if a microwave has a faulty diode. 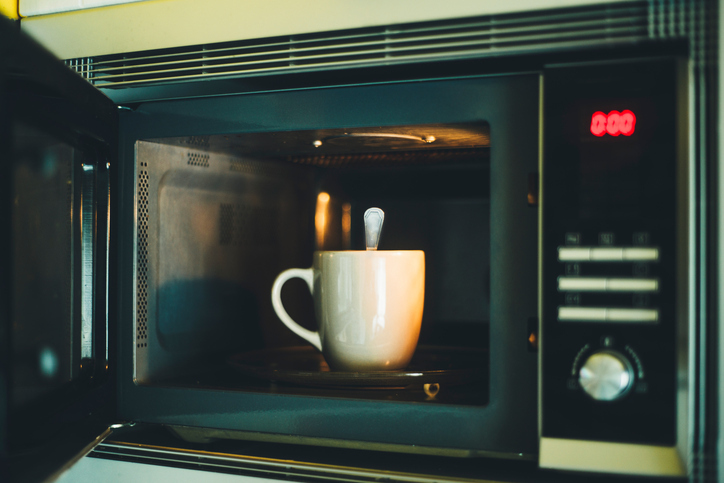 For more information on how to keep your machine running correctly, you may want to refer to our article on how microwaves work. If you need further assistance with your appliance, don’t hesitate to get in touch with us as we are always delighted to help! I have a Bosch microwave with an oven element under the turntable. I rarely if ever use this appliance as an oven, only as a microwave appliance. I notice sparks coming from under the turntable where the element comes through a hole in the stainless steel body of the machine. The arcing is happening between the element and the body. I have tried to clean the small gap between the element and the body but to no avail. What can I do? The metal surfaces in microwaves are carefully designed to avoid arcing. When these surfaces are damaged in some way or become corroded it can change the electrical characteristics of the surface which causes the arcs. If the arcing surface can be changed like by replacing an element the problem should be resolved but often the offending surface is part of the chassis of the product. In this case it is difficult to fix, you could try cleaning the surface to remove rust or if the surface is bent, bend it back. Sharp edges can be removed and sometimes enamel paint over the surface helps. Really it depends on the situation. Do not work on microwaves unless you understand the risks properly as there are radiation and very high voltage dangers.